Welcome to my sewing buddy, my cheer leader, my fashion consultant, my friend!!!!!!!!! 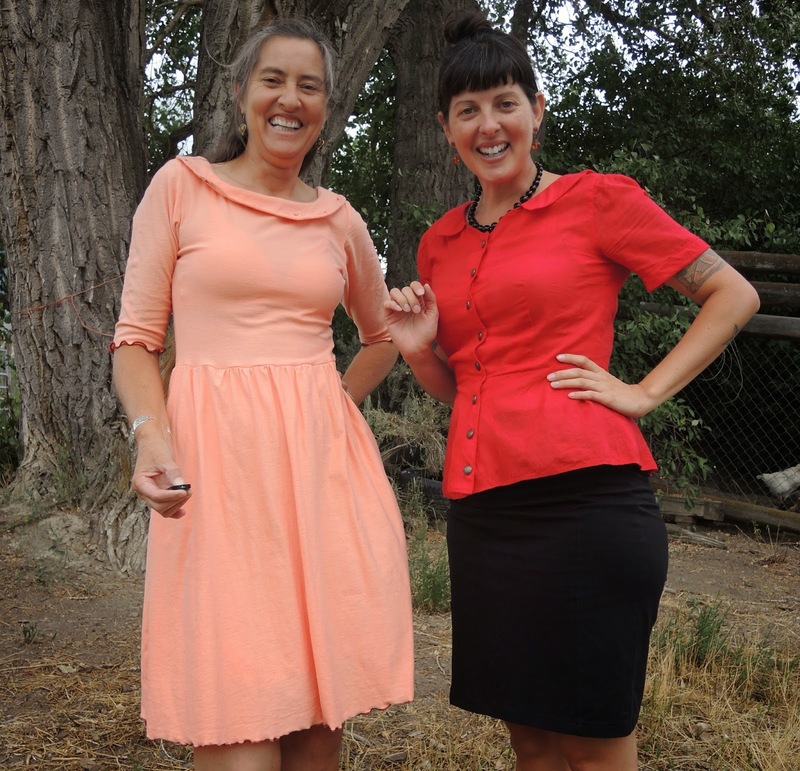 We started sewing and realized we were both wearing outfits we had recently completed and that everything was from the great Colette Patterns! She is wearing a gorgeous red Hawthorn Blouse and a black knit Mabel skirt! Now you can see how the pencil mabel is supposed look. 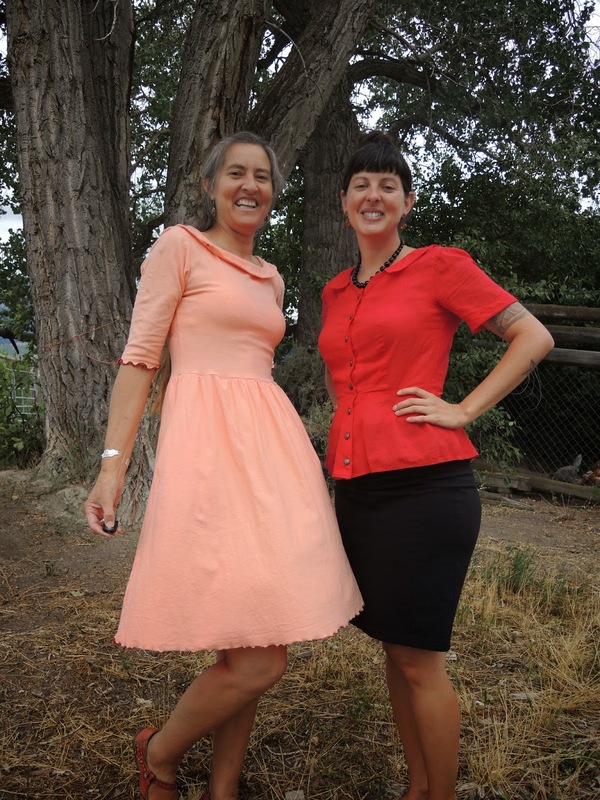 Thank the sewing Goddesses that we are both happily wearing our own creations! 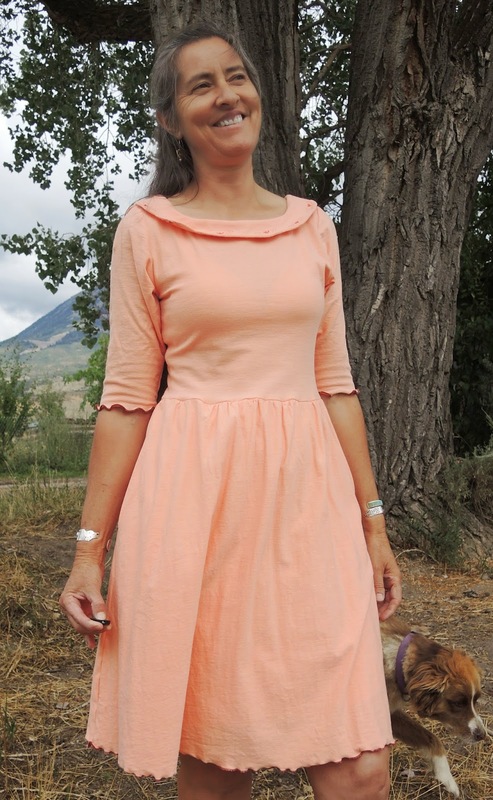 I am wearing the Moneta from Colette Patterns. 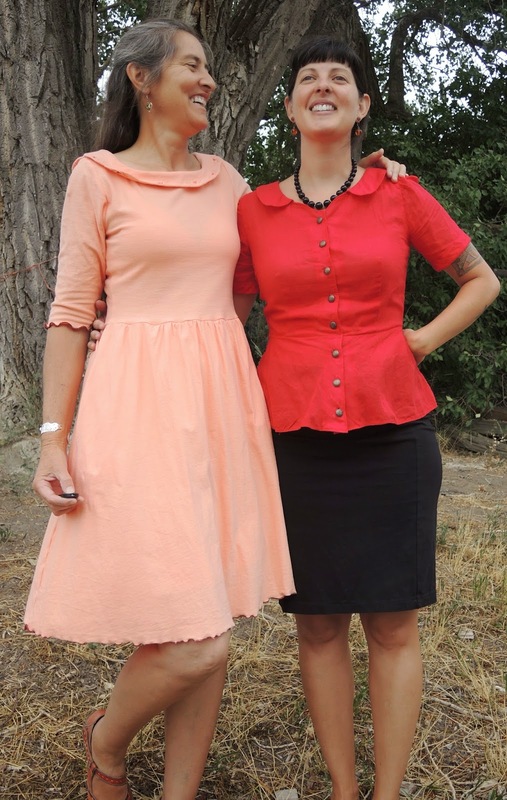 https://www.colettepatterns.com/sewing/moneta. I Love this organic cotton knit the color is a wonderful subtle peach. The only changes I made was to add a lining because this knit was a little too sheer for my taste. I LOVE that there is a free down- load of MANY different collar choices with this dress. And I LOVE my sewing machine and her extravagant decorative stitches! Even the side pocket is alright on this dress. It's a "put it on and go dress!" Easy comfy, and cute. Isn't she SOOOO cute in that outfit?!!!!!!!!! 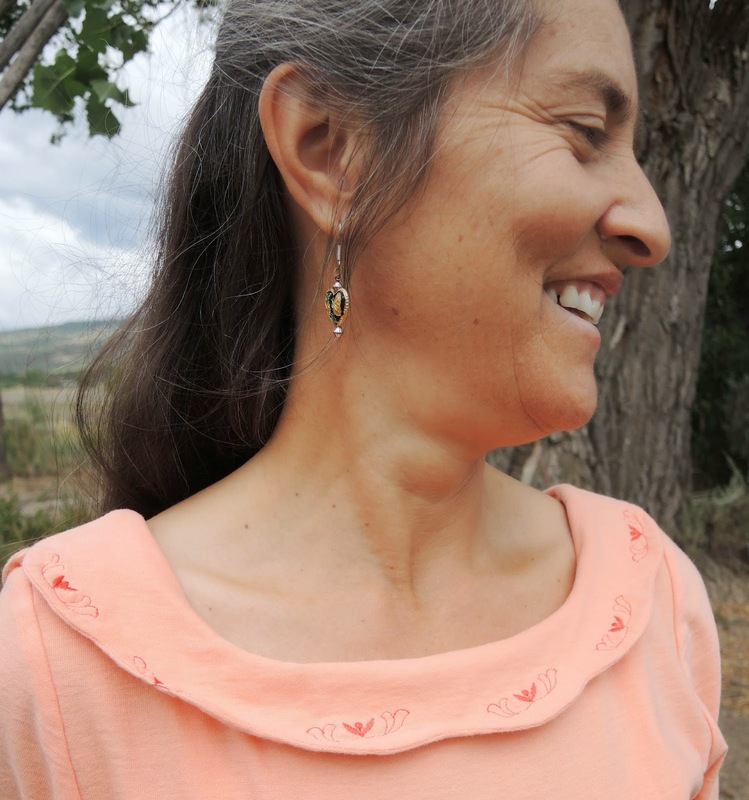 She used a red cotton lawn to make this sweet Hawthorn Blouse. Of course, from Colette Patterns https://www.colettepatterns.com/sewing/hawthorn. She even did the internal snap at the waistline! The kind of detail I don't often do! The Mabel skirt always looks good and is so easy, practical, and versatile! There is love, warmth, and feeling.